When the job no longer fits the vision you have for your career. Everything you do is either moving you closer to or further away from your vision. While a position may have started out with the right alignment, you may have gained what you needed from that position. Understand the end game and think about what will take you there. Look at your target position and understand what makes a person successful in that position. It won’t be a one-size-fits-all, but most likely you will see some key traits and skills you should be proficient at. Maybe you need to lead a bigger team or do a rotation in finance. Keep in mind, the road to your goal may not be a straight shot. Detours can be valuable for your career as well. Focus on making them strategic detours. When you identify a gap in your toolkit that can’t be filled where you are. As briefly mentioned above, if you identify a key trait you need to build, understand what options are out there for you. I have heard many people in the C-Suite mention that doing time in sales or finance has helped make them successful in their positions. Understand the experiences that will help you round out your leadership and decision-making, and focus on finding a position that will support that. When you are no longer growing or your job is so easy you are becoming complacent. If you aren’t growing, the probability of becoming complacent is high. While it’s nice having an easy job for a while, it’s important to be developing and doing things that stretch you as a leader. You may be able to achieve this in your current position by asking for new responsibilities – perhaps even taking some of your boss’ workload. However, if growth opportunities aren’t sufficient enough, you may need to consider a different job. Whatever you do, don’t let complacency creep in because eventually someone will come in and outperform you, and it will be a struggle to catch back up. When you and the company no longer have value alignment. Companies change. This can especially be true when a new leader comes on board. Your job may still be great, but you may not have value alignment. This ultimately means you won’t be as passionate about initiatives the company tackles. Some values speak to us, and some don’t. Cigna Health Care came out with a brand of “go you.” The premise was, “Why aren’t you living your dream today? Just go for it.” That really spoke to me. Recently, I noticed their branding changed to “together we win.” That does nothing for me, but obviously does for others. Does your company inspire you? Do you get excited about the work they are doing? When you’ve outgrown your company. You may be a big fish in a small pond. Isn’t that a wonderful feeling? You’re the expert! People are dependent on you, and you are highly regarded. But – you are no longer surrounded by people or challenges that are going to propel you forward as a leader. Or you may have a vision that is bigger than what the company can support. If you have great ideas but the company doesn’t have the infrastructure or willingness to implement them, it’s probably time to take your ideas to a company that aligns more with your vision. If you read this list and feel like it’s you, don’t go in tomorrow and quit your job. Leaving a job should be strategic. Now that you see the gap, it’s time to define where you are going and understand which move will get you there. You want to avoid leaving a job on a whim and being a victim of impulsiveness. Justify your decision to leave, map out your plan, and don’t leave until you have found a good fit. While I still look back on my departure with a bit of bittersweet feeling, I can tell you leaving has challenged my thinking, expanded my skill-set, and opened new doors of opportunity. 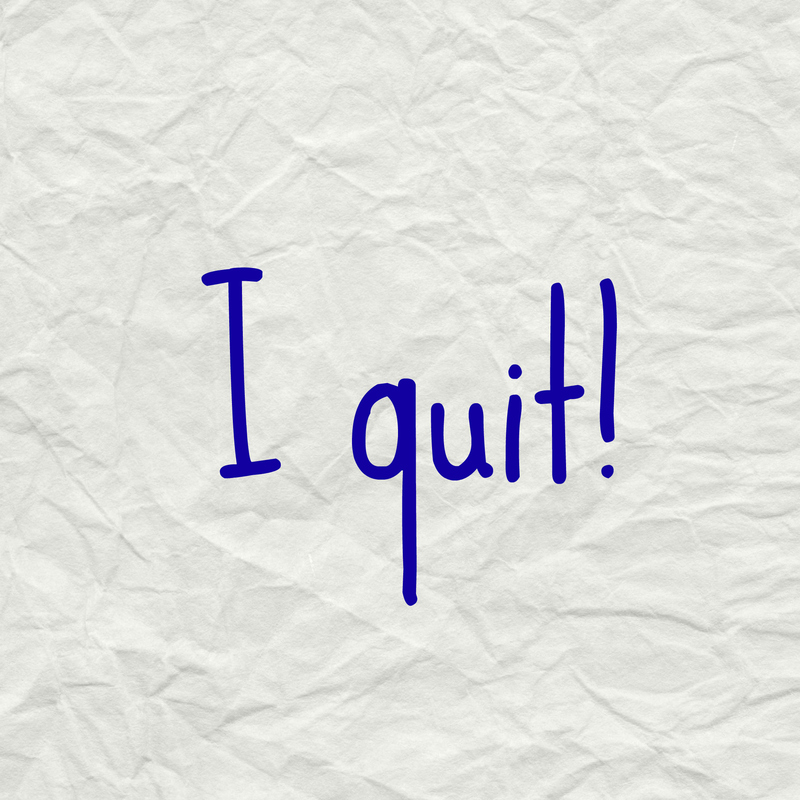 Have you ever outgrown a job or quit a job you loved? Share your story in the comments! Really like your site Jana. Good luck with this endeavor.